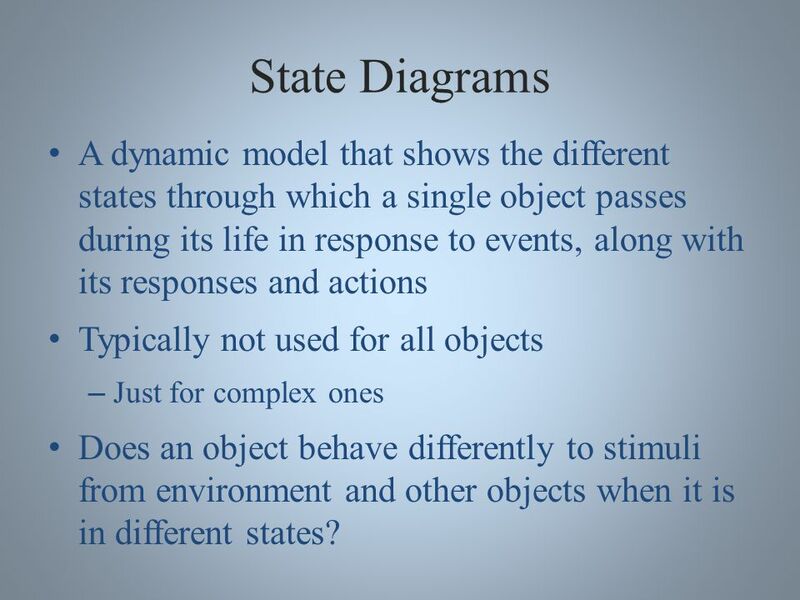 5 State Diagrams A dynamic model that shows the different states through which a single object passes during its life in response to events, along with its responses and actions Typically not used for all objects – Just for complex ones Does an object behave differently to stimuli from environment and other objects when it is in different states? 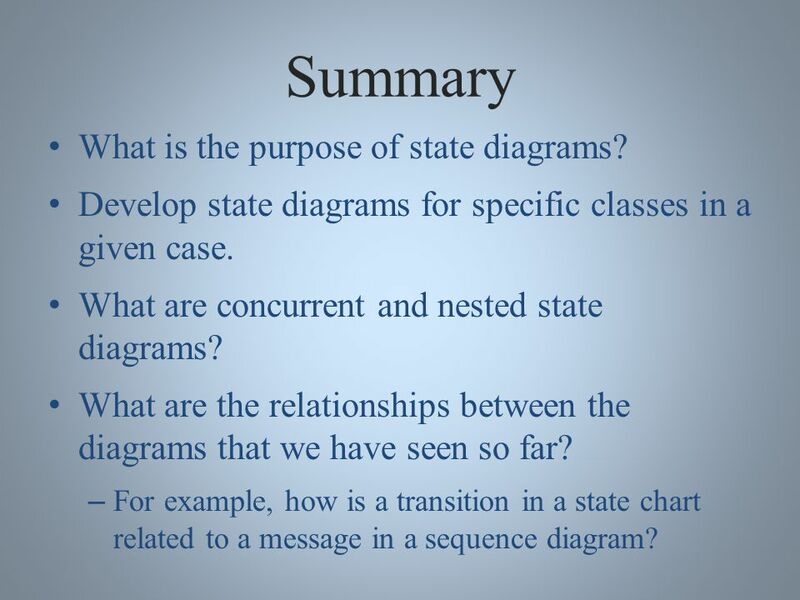 19 Summary What is the purpose of state diagrams? 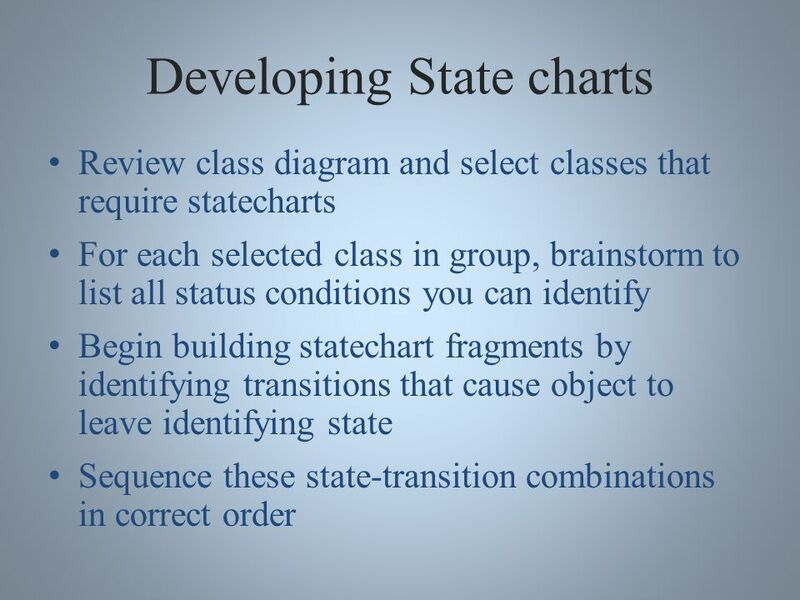 Develop state diagrams for specific classes in a given case. 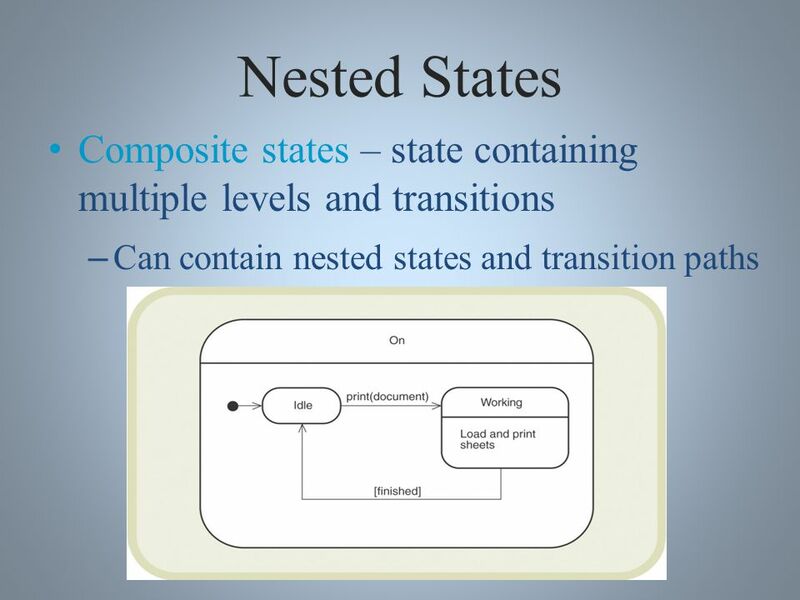 What are concurrent and nested state diagrams? What are the relationships between the diagrams that we have seen so far? 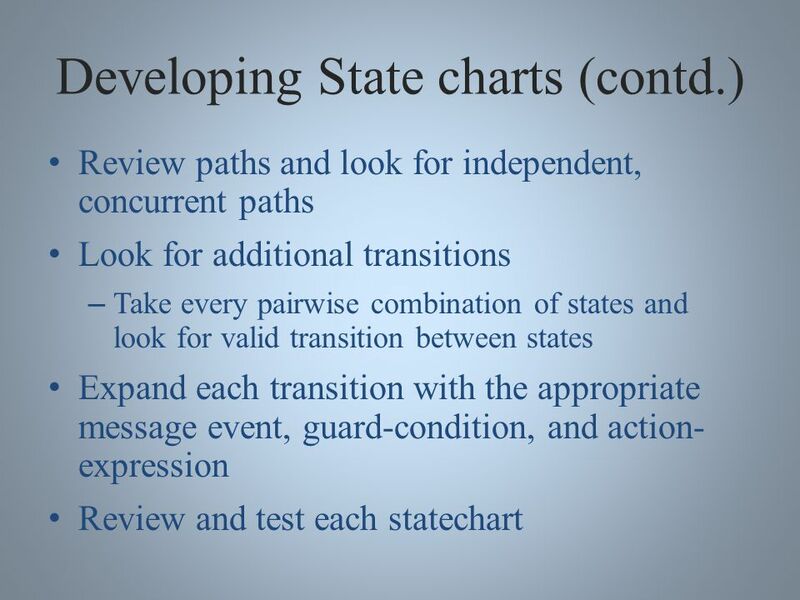 – For example, how is a transition in a state chart related to a message in a sequence diagram? 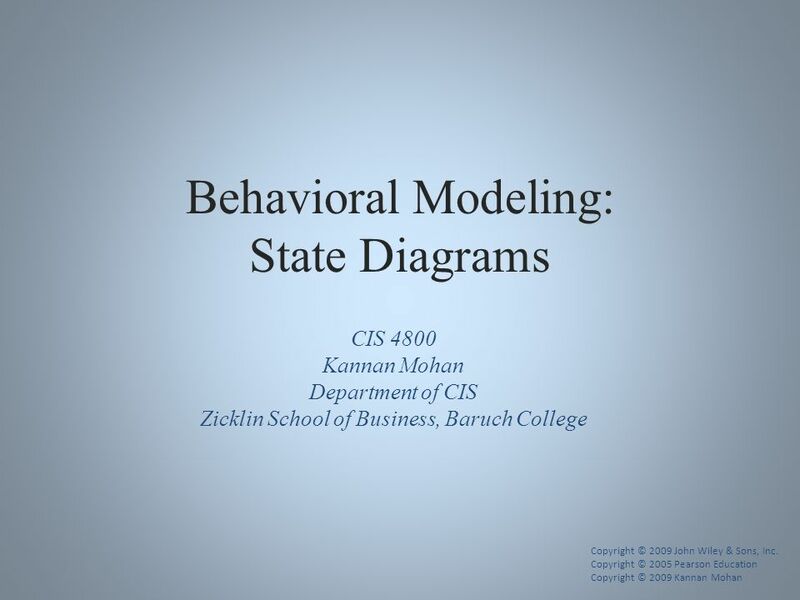 Download ppt "Behavioral Modeling: State Diagrams CIS 4800 Kannan Mohan Department of CIS Zicklin School of Business, Baruch College Copyright © 2009 John Wiley & Sons,"
1 Behavioral Modeling Chapter 8. 2 Key Ideas Behavioral models describe the internal dynamic aspects of an information system that supports business processes. ZEIT2301 Design of Information Systems Behavioural Design: State Machines School of Engineering and Information Technology Dr Kathryn Merrick. 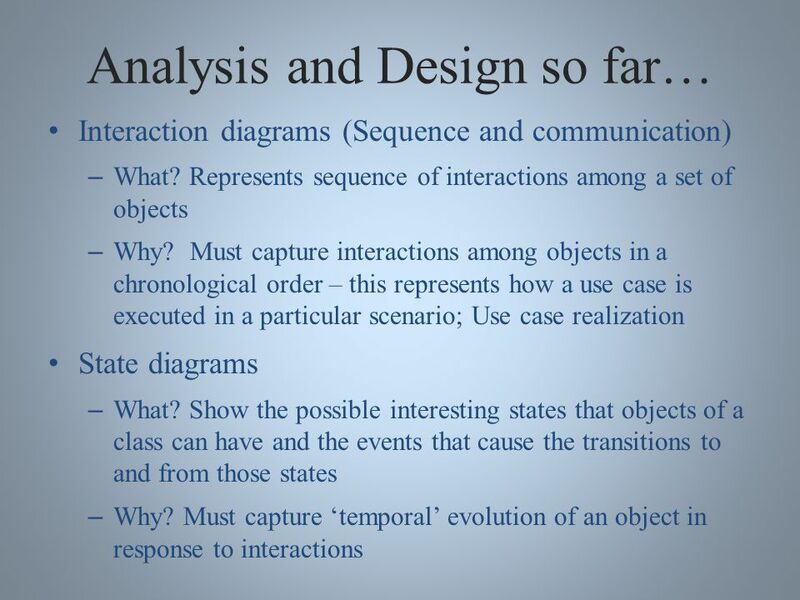 © 2006 ITT Educational Services Inc. SE350 System Analysis for Software Engineers: Unit 9 Slide 1 Appendix 3 Object-Oriented Analysis and Design. 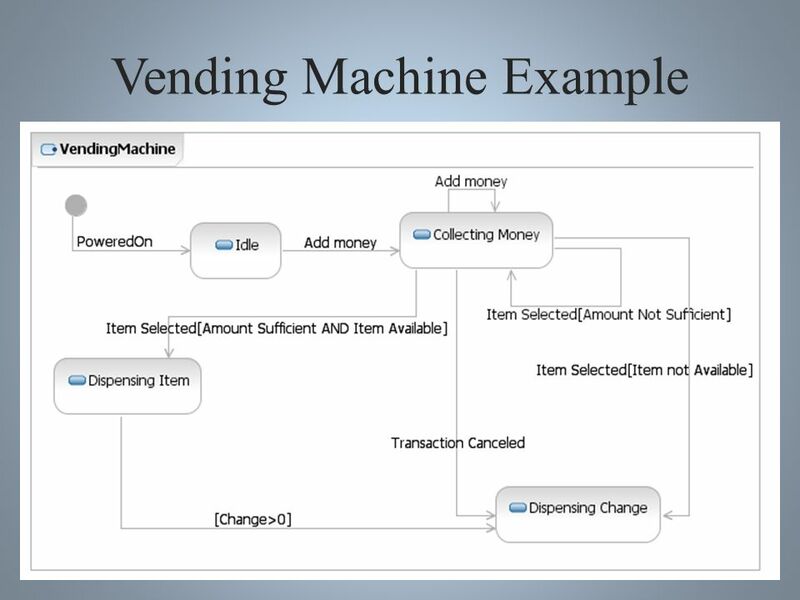 1 Chapter 4 Dynamic Modeling and Analysis (Part I) Object-Oriented Technology From Diagram to Code with Visual Paradigm for UML Curtis H.K. Tsang, Clarence. 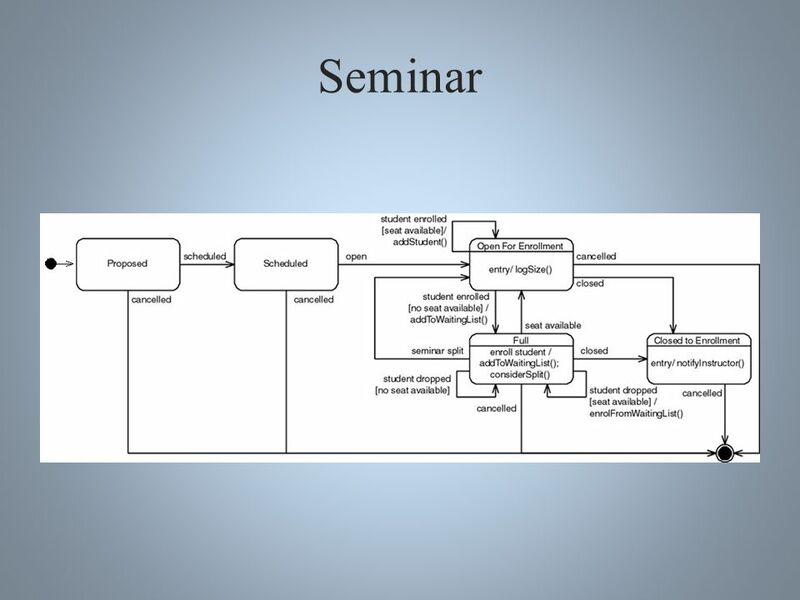 PowerPoint Presentation for Dennis & Haley Wixom, Systems Analysis and Design Copyright 2000 © John Wiley & Sons, Inc. All rights reserved. 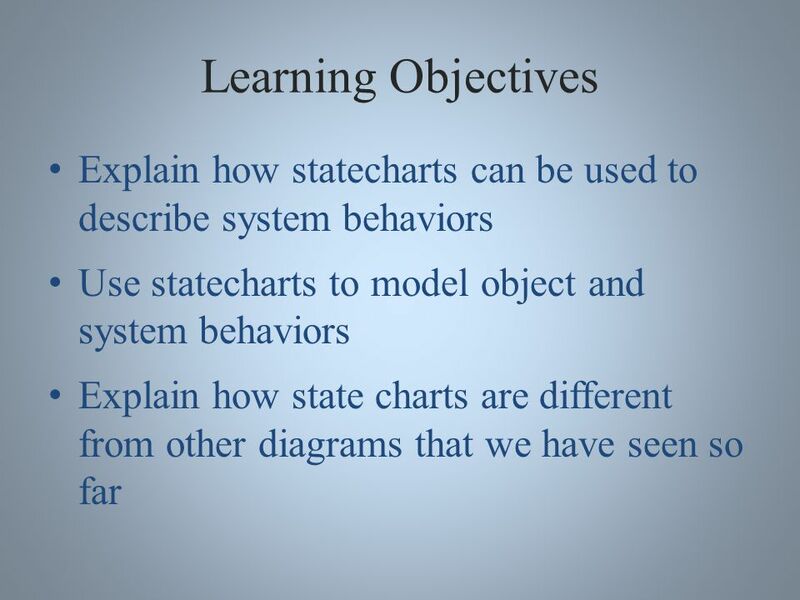 Slide 1 The. 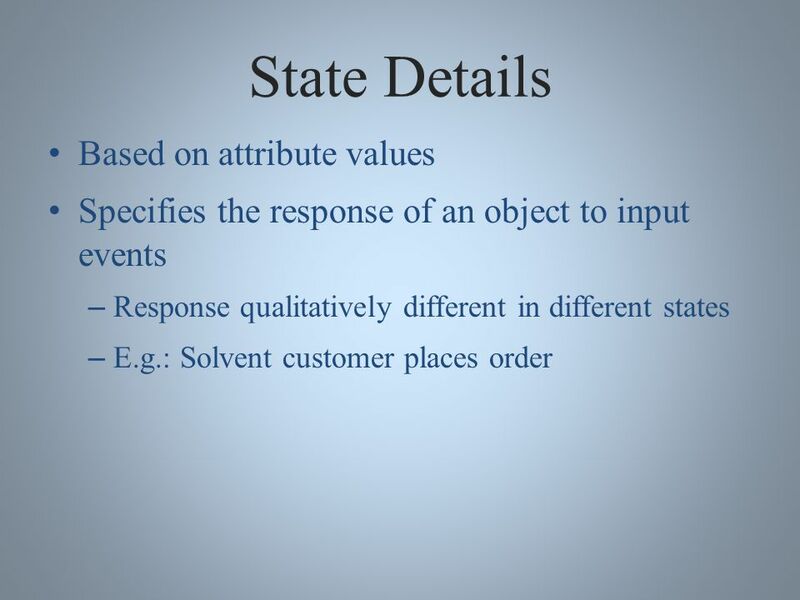 State Diagram. 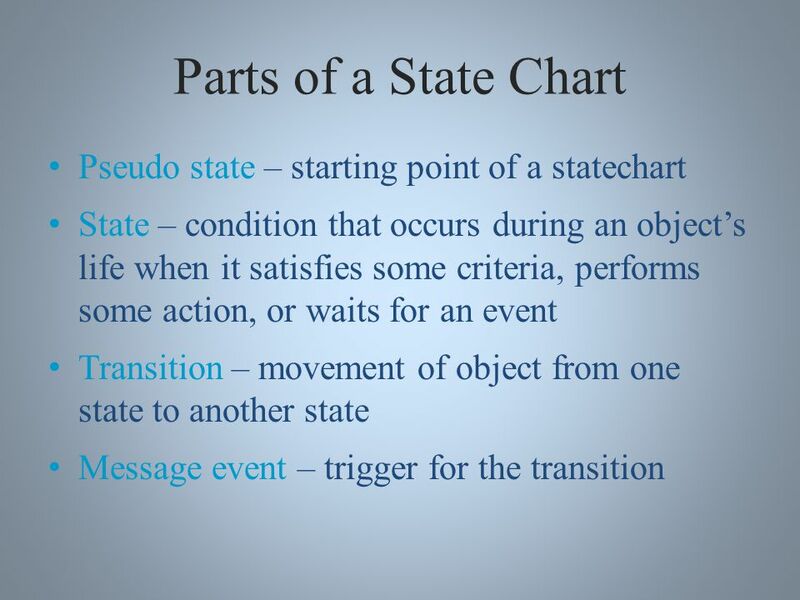 What is State Diagram? 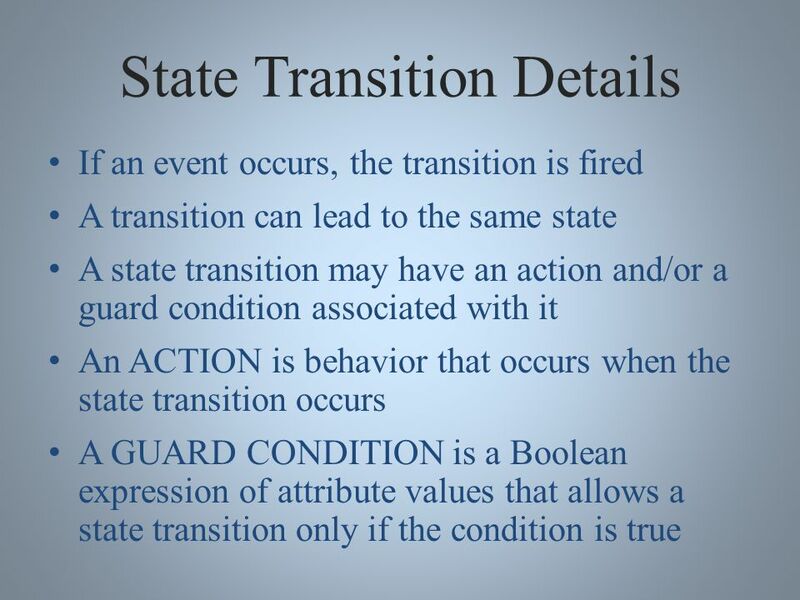  State diagram is used to show the state space of a given class, the events that cause a transition from one state. 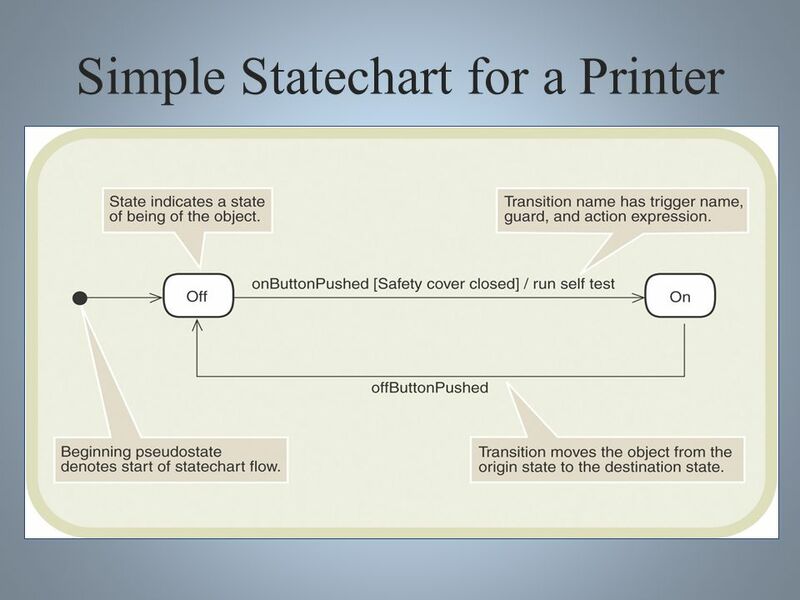 THE OBJECT-ORIENTED DESIGN WORKFLOW Statechart Diagrams. 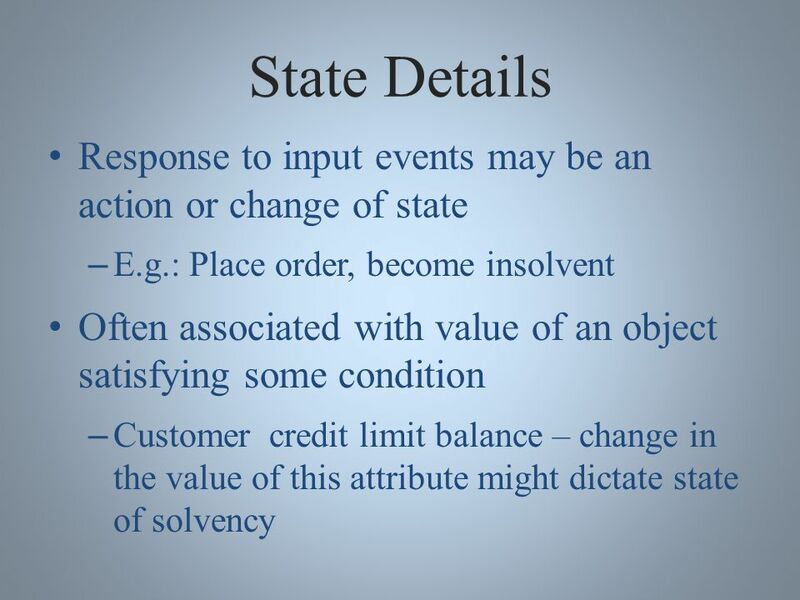 State Change Modelling. 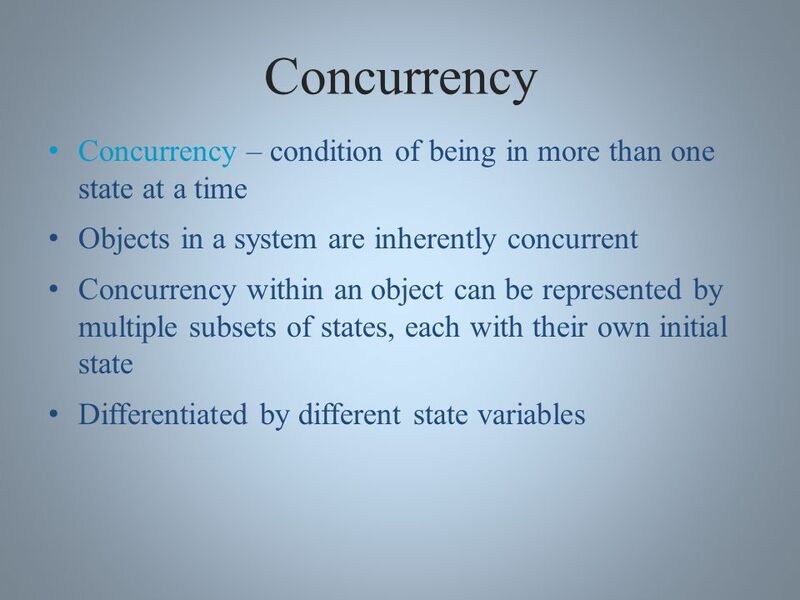 Aim: To introduce the concept and techniques for describing the changes in state that may occur to an object in its lifetime. 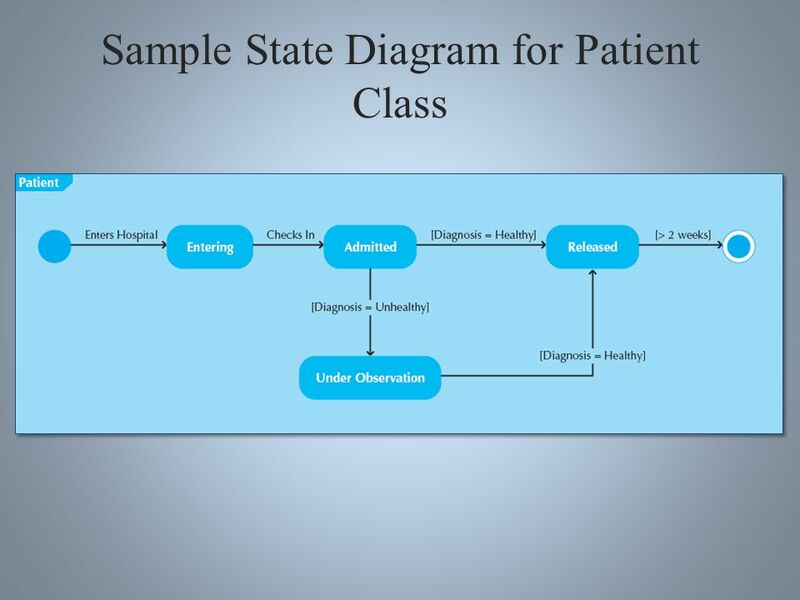 UML Sequence Diagrams Eileen Kraemer CSE 335 Michigan State University. 7. 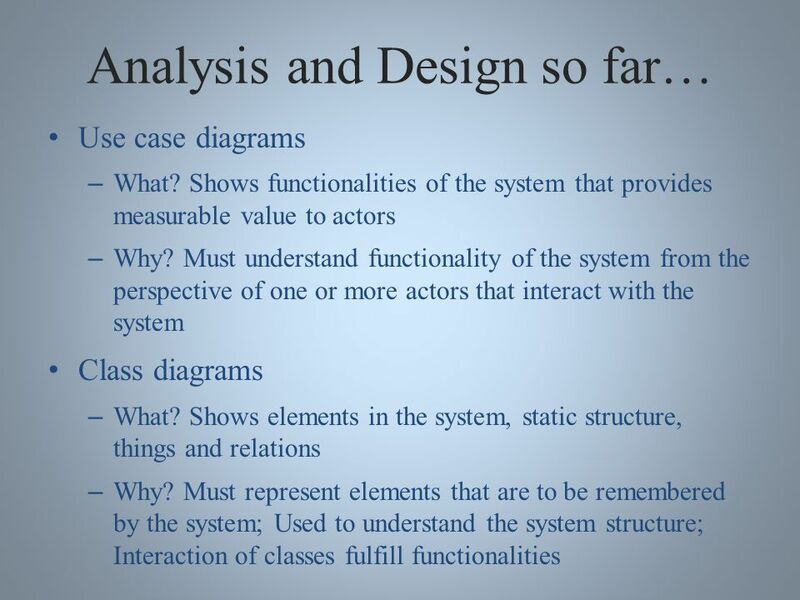 2Object-Oriented Analysis and Design with the Unified Process Objectives  Detailed Object-Oriented Requirements Definitions  System Processes—A Use. 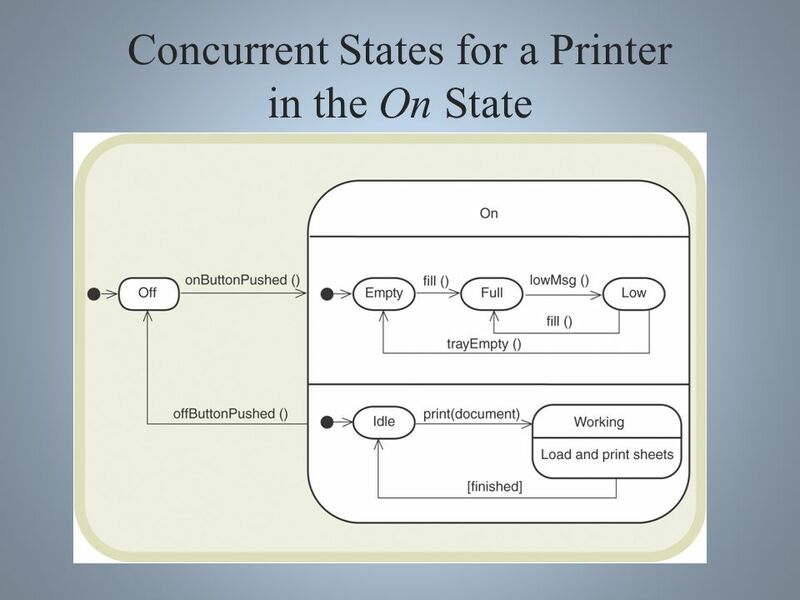 Www.techstudent.co.cc State Modeling. www.techstudent.co.cc Events An event is an occurrence at a point in time, such as user depresses left button or.